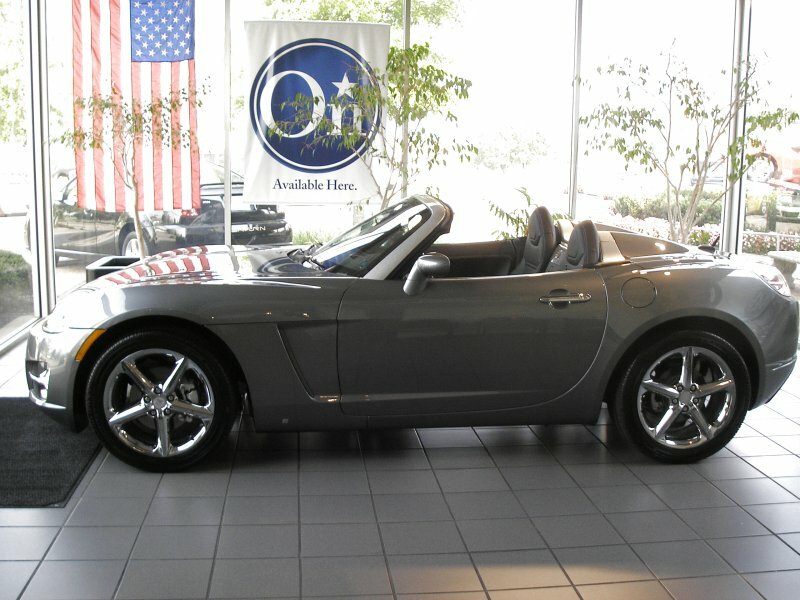 This is the new Saturn Sky two-seat convertible. It was on display in the showroom last week when I took my car in for service. Another car – but this one is mounted on the side of a wall. 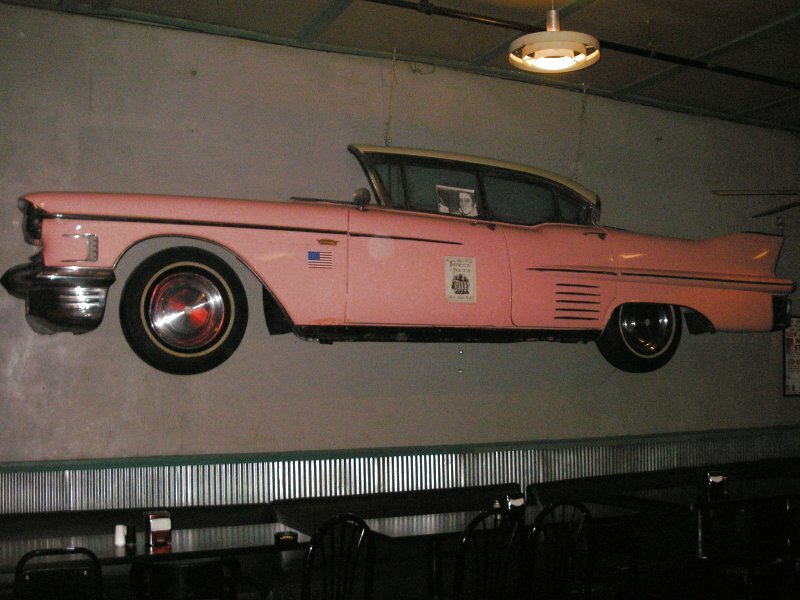 Yes, this is a full-sized pink Cadillac. 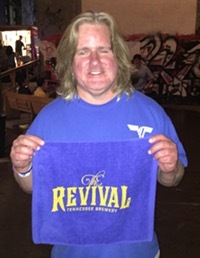 It can be seen at Blues City Cafe. 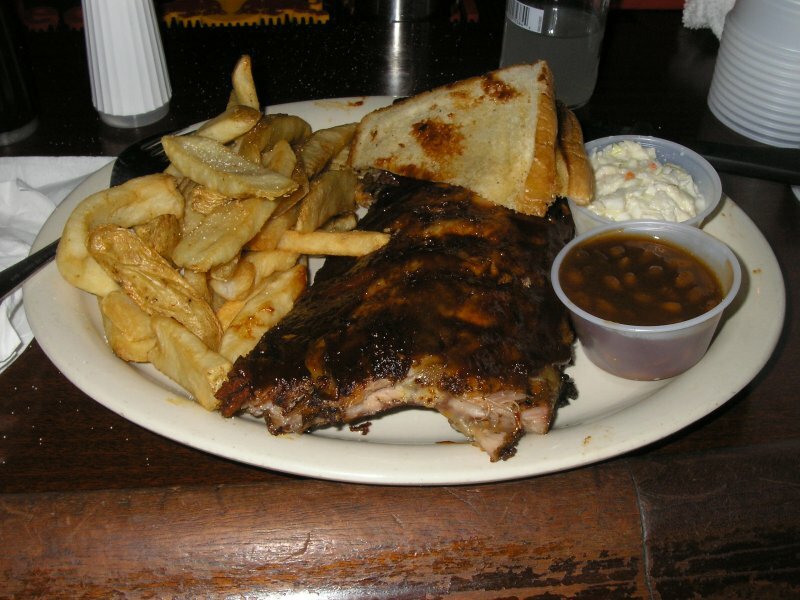 After I got done looking at the car, I ordered a half-rack of Blues City’s ribs, in my opinion the best ribs on Beale Street. 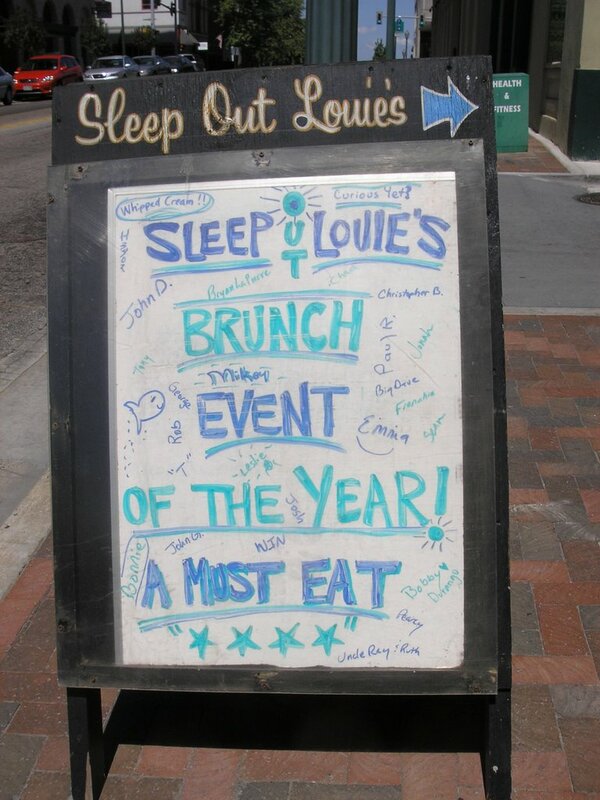 Sign advertising Sunday brunch at Sleep Out Louie’s. If you click on the image to see it in full size, you’ll see my name and the names of most of the other regulars. Here’s a pic of the Nuh-Uh Girl throwing darts at the Flying Saucer. The Nuh-Uh Girl was mad at me for not taking a picture of her in a tube top dress she had on several days before, so I figured I’d make it up by posting this pic of her. All right… it’s Sunday. Time for me to buy a Sunday paper, write my “Deal of the Week” blog, and then head to Sleep Out’s for brunch. It’s a Must Eat, you know.